A business works on the profits earned from the operations of the company. If the business is tenured, then it would have all the funds available from previous profits. However, if it is a startup, it is likely to struggle to generate funds due to a lack of operational history. There are many kinds of loans for businesses in the market which can be availed at any given point of time. The most common ones are secured and unsecured loans. Secured loans, as the name suggests, is secured from a lender’s perspective. Collateral is given by the borrower against the loan taken. If the borrower is unable to repay the loan, the loan amount can be recovered by liquidating the collateral. Several banks and financial institutions provide such loans to business owners and entrepreneurs. The loan amount is decided basis the profits made by the business annually. The business performance must be consistent for the last four years. 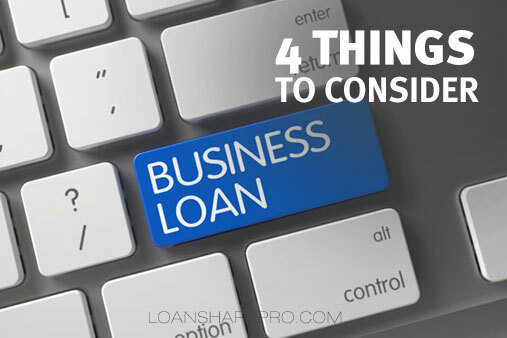 With all these criteria, you can opt for an unsecured business loan from any financial institution. However, you need to know a few things that will help you decide if an unsecured loan would be the right option for you. Any loan involves interest rates that must be paid by the borrower. These interest rates differ depending on the type of loan you apply for. An unsecured cash loan has a higher interest rate and heavy penalty in case of non-payment of the instalments. These business loans have a short period for repayment and higher instalment amount. The risk is high for the lender as collateral is not provided by the borrower. The better the credit score of the borrower, the higher the loan amount they are able to avail. Interest rates vary between 18% and 22%. Unsecured business loans have a drawback though – they come with a shorter term to repay as compared to secured loans. You need to analyse and allocate the funds if you opt for unsecured cash loans. This is just for the benefit of your business. There are several distractions that prompt you to spend on expenses that aren’t essential, such as luxurious furniture for the business, which can be put on hold. A huge credit amount maybe exciting at first, but it also must be handled responsibly. Always plan your investments to support the growth of your business first. Everything else comes later. Since unsecured business loans do not have collaterals to be provided, they are seen as credit risks by banks. Such unsecured cash loans are provided by NBFCs and private financial institutions. There are several genuine clients who are in dire need of unsecured loans but the only roadblock to their high business ambitions are lack of collateral. Lenders, among NBFCs, may consider the application of the borrower and offer them the loan to grow their business. So, make sure you have knocked on the door of the right institution to provide you an unsecured loan. You may be lured by the concept of no collateral and no liability for unsecured cash loans. However, this is far from easy. Every unsecured loan comes with legal terms and conditions. Therefore, just availing of the loan and not repaying it can be risky. Moreover, failure to repay the unsecured loan could affect your business ratings deeply and drop your credibility in the market. Non-repayment of the loan also leads to lowering of credit ratings, which makes acquiring a loan in the future difficult. An unsecured loan is a liability after all and it should be repaid as per the agreed terms and conditions. If, due to an unforeseen event, you are unable to make a payment on a given month, do communicate so to the lending institution to avoid any late payment fees or charges. A few lenders are flexible enough to give you the additional time required. But to keep up the trust, it’s a good idea to keep the communication channels open. An unsecured loan is one of the most lucrative methods to avail of cash for smooth business operations. However, there are always two sides to the coin. Unsecured loans are easy to get as they have relatively less paper work but also come with higher risks attached to it. It is as good as cash and is therefore called as unsecured cash loans. So, ensure that you tread carefully while you strive to make the most of the opportunity and scale new heights with your business.